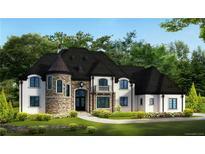 Find Weddington, NC Homes for sale. View Photos, Maps and MLS Data Now! Home is being sold "As Is." MLS#3498068. Berkshire Hathaway HomeServices Carolinas Realty. TOP NC SCHOOLS, LOW HOA & Union County TAXES! MLS#3497328. Better Homes and Gardens Real Estate Paracle. 3-car garage and extra parking spaces. MLS#3497617. Allen Tate Providence @485. This home will begin construction in May and is scheduled to be completed in Oct/Nov, please contact the on site agent Wisam Roustom at 980-266-0626 to view a similar floor plan in the community and for more details on this home, thank you. MLS#3496018. Lennar Sales Corp.
Come see this well maintained gem today! MLS#3495065. Reside Realty LLC. Lake Forest Preserve - Conveniently located to 485 and close to shopping, restaurants, entertainment, as well as great schools and low taxes. MLS#3493054. EXP REALTY LLC. Providence Forest Estates - Home has been meticulously cared for and it shows! MLS#3491739. Allen Tate Providence @485. This one won't last long! MLS#3494749. Allen Tate Providence @485. Stratford On Providence - The second level, you’ll find a well-appointed Bonus Room just waiting for your imagination. MLS#3495094. Coldwell Banker Residential Brokerage. Don't forget to check out the 3D floor plan + flying video tour. MLS#3493183. Allen Tate Ballantyne. Rose Hill - Weddington Swim & Racquet Cub is only a mile away. MLS#3492419. Ivester Jackson Distinctive Properties. Lake Providence - Oversize 3-car garage with storage and workshop. MLS#3491260. Allen Tate Matthews/Mint Hill. Weddington Heritage - First American Home Warranty included. This home will not disappoint ! MLS#3477640. Wilkinson ERA Real Estate. Williamsburg - Irrigation! LOW HOA & Union county TAXES! MLS#3491498. Wilkinson ERA Real Estate. HighGate - Excellent Union County public or private schools MLS#3490836. Fisher Herman Realty LLC. Do Not Wait On This One! MLS#3491332. Wilkinson ERA Real Estate. 3-car Garage! Move in ready! Gorgeous! MLS#3489761. EXP REALTY LLC. Crawl space has been encapsulated and sunroom has been finished for year round enjoyment. MLS#3487907. HM Properties. Lake Forest Preserve - Backs to wooded conservation area. Home warranty! MLS#3489007. RE/MAX Executive. Immaculately maintained & neutral! Top rated Weddington Schools! MLS#3487358. Allen Tate Providence @485. Massive Bonus Room over 4 car garage. MLS#3486536. Shea Realty. Luxurious Spa style Master bath with freestanding tub inside a huge marble WIS. Huge Bonus for media Room. MLS#3486517. Shea Realty. This European 3 Plymouth is a must see! Competition date is June 2019 MLS#3486923. Taylor Morrison of Carolinas Inc. This cool and airy sanctuary perfectly suited to a relaxed life-style awaits. MLS#3484995. Keller Williams South Park. Neighborhood amenities: pool, playground and clubhouse. MLS#3473373. Helen Adams Realty.